Legionnaires' disease is an uncommon form of pneumonia which can be severe, often lethal. It's caused by the bacterium Legionella pneumophila found in both potable and nonpotable water systems. Legionnaires’ disease, or Legionellosis, is a severe infection caused by Legionella species, primarily L. pneumophila. The disease typically presents as pneumonia and symptoms may include a high fever, chills, cough, muscle aches, headaches, and diarrhea. The most popular theory is that the organism is aerosolized in water and people inhale the droplets containing Legionella. However, new evidence suggests that another way of contracting Legionella is more common. "Aspiration" is the most common way that bacteria enter into the lungs to cause pneumonia. Aspiration means choking such that secretions in the mouth get past the choking reflexes and instead of going into the esophagus and stomach, mistakenly, enter the lung. The protective mechanisms to prevent aspiration is defective in patients who smoke or have lung disease. Aspiration now appears to be the most common mode of transmission. To regulate and control the risk from exposure to legionella bacteria two regulations were published under the Public Health Act, namely the Control of Legionella Regulations, 2006 (L.N.5 of 2006) and the Registration of Cooling Towers and Evaporative Condensers Regulations, 2006 (L.N. 6 of 2006). The school has started using the services of a private company to test and monitor our water systems as per the above regulations. 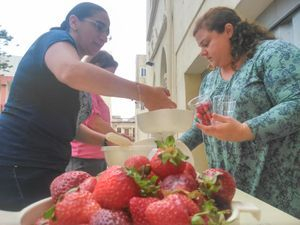 In addition to that, the school also ensures the cleaning of water and flushing tanks, the periodic flushing of unused water systems and the monitoring of free chlorine levels in cold water systems and temperature levels in hot water systems. YOUR SAFETY IS NOT NEGOTIABLE ! be familiar with the school's Health and Safety Policies. how to ensure the safety of those around you too. Click here to learn HOW USEFUL an AED can be. 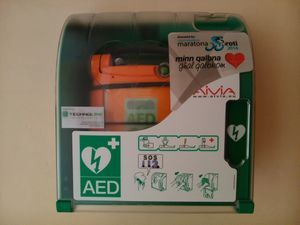 Thanks to Maratona bir-Roti 2014, our school has this lifesaving device installed and members of staff trained in its use. Our school is equipped to respond more effectively should an emergency involving sudden cardiac arrest arise thanks to the newly installed Automated External Defibrillator (AED). Equipping schools with AEDs and training members of staff how to use this equipment can give cardiac arrest victims another chance at life. I urge you to support the initiative of 'Maratona bir-Roti' of which our school was a beneficiary. What are RISKS and what are HAZARDS? and which one can be controlled? Learn more by browsing the FAQ section of the website and email us any hazards you see around you together with pictures of them and we'll have them featured on this website to raise safety awareness. How many times have you used your hands today? What have you touched today? Hands pick germs and spread them. WASH YOUR HANDS WELL MORE OFTEN. We wash our clothes with plenty of water, fabric condition them to remain soft, dry them away from the scorching midday sun (especially leather) and give the expensive ones special treatment. PROTECT THE SKIN YOU'RE IN. You cannot buy a new skin, and it has to last a lifetime. Drink plenty of Water, Cover and Sun protect and Stay out of the Sun this summer. Hurried around by your boss/teacher/parent? Many parents bring their daughters to school by car. While praising those who ensure their daughters are strapped safely in the car, it is very worrying to see other students NOT WEARING THEIR SEATBELTS. 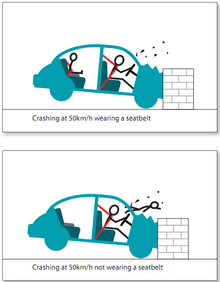 In the event of a crash, the unstrapped child can get seriously injured and can also injure other passengers in the same car. Accidents always happen unexpectedly - Don't take any chances - Travel Safely! Anything you post on the internet is there TO STAY. Post anything you wish to circulate around the world and you wish everybody to view. DO NOT POST anything which you don't want to tell everyone, which you don't want to see in 5 years' time or which you don't want your future boy/girlfriend or employer to know! 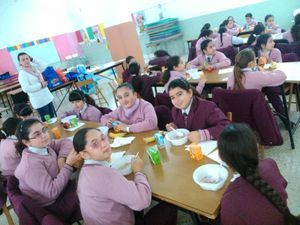 © All material published in this site is the sole property of Our Lady Immaculate School, Hamrun, Malta. DISCLAIMER: Our Lady Immaculate School is not responsible, in any way, for the misuse of material from this website. Please read the full terms and conditions and disclaimers under 'Policies' in the 'Documents and Forms' section.